Instagram is a social network mainly designed to be used on our mobiles and tablets. But, many of users want to use it from our desktop or laptop to upload photos. Do you think it is possible to upload photos to Instagram from our computer? My answer is Yes. We can upload photos from our desktop to Instagram without using any apps. But what if we do not want to register on third party apps and put our privacy at risk to upload photos to Instagram from our PC? Fortunately, there is the possibility of using the official Instagram Android application on our Windows, GNU / Linux or Mac OS X computer with these tricks. Continue reading to know more tricks. Here I am going to explain you the different methods to upload photos to Instagram from our Computer from the official Instagram website. 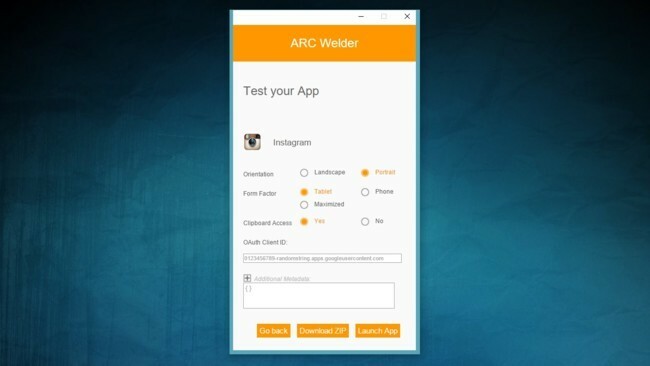 It is possible to upload our pictures to Instagram from our PC or Laptop by installing it directly on Chrome with ARC Welder. The first step in our process to install the Instagram app on our PC is obviously to download it. To do this we will enter the profile of Instagram in APKMirror and we will download the latest official version of the application in our computer. That .apk file will be the one we will use it later with Chrome. It does not work with all, but there are many official Android applications that we can use in our computer thanks to ARC Welder. All you need to do is open the Chrome browser and download the webapp from the Chrome Web Store. Once this is done we will just have to open it and give it the “Add your APK” option. Then ARC Welder will ask us how we want to run our application. You can select the size option, whether to a maximum possible size or portrait size or vertical size or any other option whichever is comfortable for you. Once all the settings are done, click on the Launch APP. That is it! In this way, you will have the Instagram app for Android without any limitations of the versions for the web or the desktop. 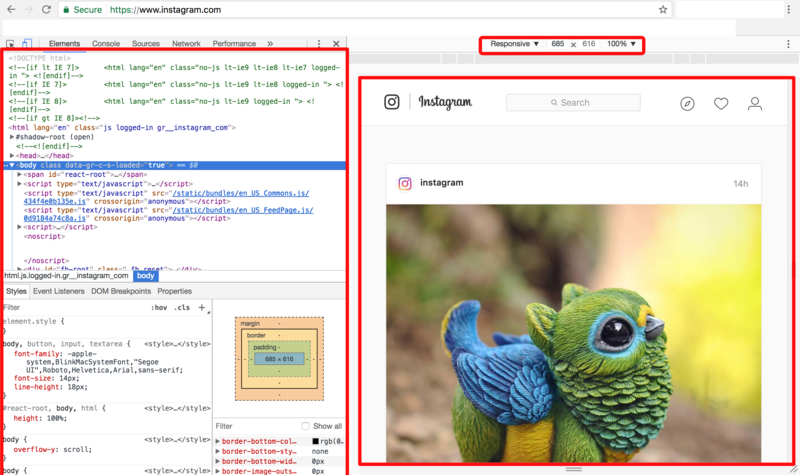 In addition to this Instagram will appear as a standalone app, so that you do not need to open chrome every time you want to run the application. It will automatically appear in the list of applications on the computer. How to upload photos to Instagram via ARC welder? If you have ever used the Instagram app you will know perfectly know how to move through it, and that has its section to upload photos with the camera or from the gallery. The normal thing is that as we are emulating the app this section goes bad, that the camera does not work and that we do not see preloaded photos, but calm down because you can upload what you want from the computer. To do this, you only have to click on the Gallery option on the top left and choose the Other option. This will popup the Gallery options and then Open File, and it will be this second that will open the file explorer of our PC so that we can find the photograph that we want to upload to our Instagram profile. From there you will be able to know the further options perfectly. You can use all the options that are available in the Instagram to edit and apply the filters to the photographs. At the time of posting, menu and the other options will work exactly the same as in the Android. Here is a new trick which allows us to upload photos to Instagram with the computer, without having to install any app or use the mobile. However, not everything is as beautiful as it sounds since this option is only available for iPad. So, if you are an iPad user then this will be a great opportunity to use Instagram on your iPad too. The good thing is that thanks to this addition, with a little trick we can access this option from the computer. We just have to make our browser “pretend” for an iPad. We can do this by changing the user agent. There are many extensions to change the user agent in almost all browsers. 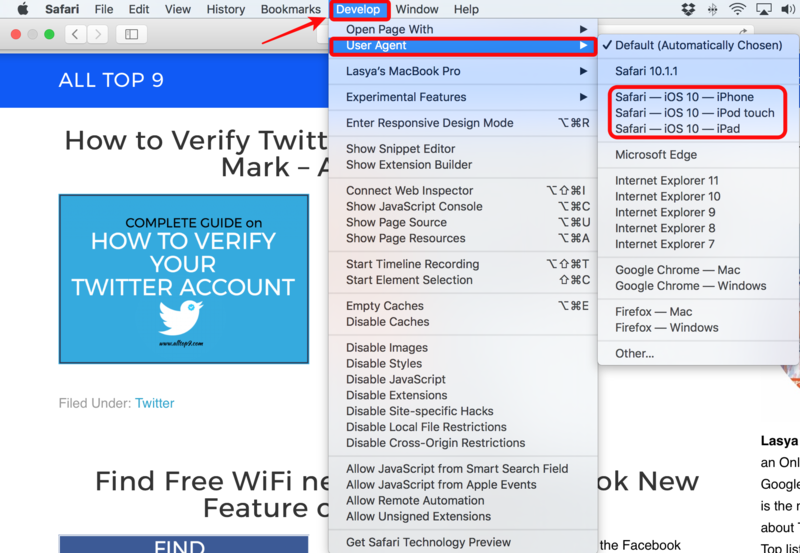 In Safari browser, this functionality is integrated into the development. 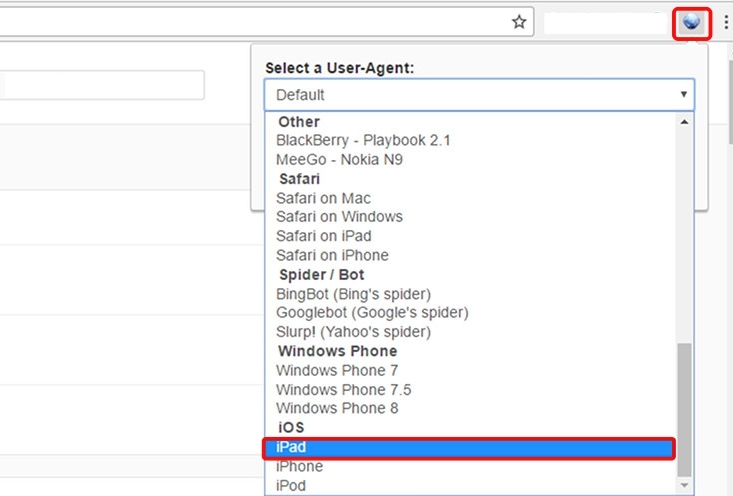 Here you can change the user agent to iPhone or iPod touch or iPad. This is very easy, isn’t it? Enter instagram.com. Then, click on the extension button and in the iOS section click on “iPad”. Reload the page and you can see the changes in the appearance of the browser. Now, there is a bar where you will find access to the different functions of the Instagram, including the possibility of uploading photos. The bad thing about this method is that you have to return to the default agent when you finish uploading the pictures if you do not want other pages to use the mobile version. Also, this method does not work for everyone. Apparently, the functionality is gradually coming to users. So, if this method does not work for you I recommend to use the other methods or wait for little more time until and unless it comes to you. With this little trick, you can publish photos in Instagram from Chrome for Windows, Linux or Mac. Recently the mobile version of the Instagram website added support for uploading and sharing photos from our computer and we can take advantage of Chrome’s programmer options to “fool” the page and make it think that we’re using the mobile. Open Instagram.com from Chrome and make sure you are signed in. Press CTRL + SHIFT + I on Windows and Cmd + Alt + I on macOS to open the development tools. It will appear like this. To open development tools you can do right click and click on inspect. There you go, the development tools will appear on the screen. Then press CTRL + SHIFT + M on Windows and Cmd + Shift + M on macOS to switch to the Instagram mobile view, with access to the camera button to upload photos. Do not close the development tools until and unless uploading photos and publishing are finished. If you close it, you will automatically return to the desktop version and you will lose the option to upload photos. Now you just have to choose any image that you have stored in the computer by clicking on the camera icon as if it were the mobile app. And of course, you do not have access to filters or editing tools. You can only upload and publish the photo. 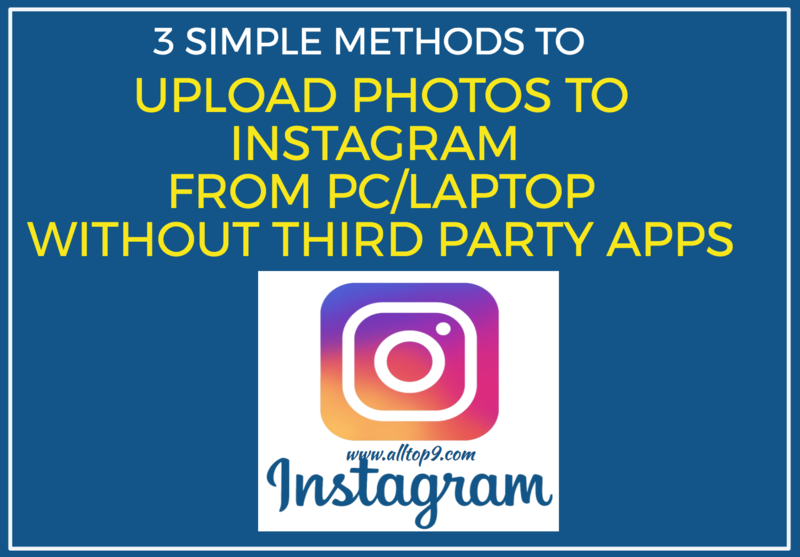 That is all about uploading photos to Instagram from our Laptop or Computer and from the Official Instagram website without using any third party apps. This is amazing, isn’t it? I hope this article helps you to upload photos to your Instagram profile from your PC/Laptop. If you are facing any difficulties while applying any of the methods, let us know in the below comments. We will answer all your queries as soon as possible. If you want to add any other method or any suggestions to upload pictures to our Insta profile from our Computer or Laptop, write them in the below comments. We will include them in our article in the next update. Which method to you use to upload photos to Instagram from PC or Laptop?